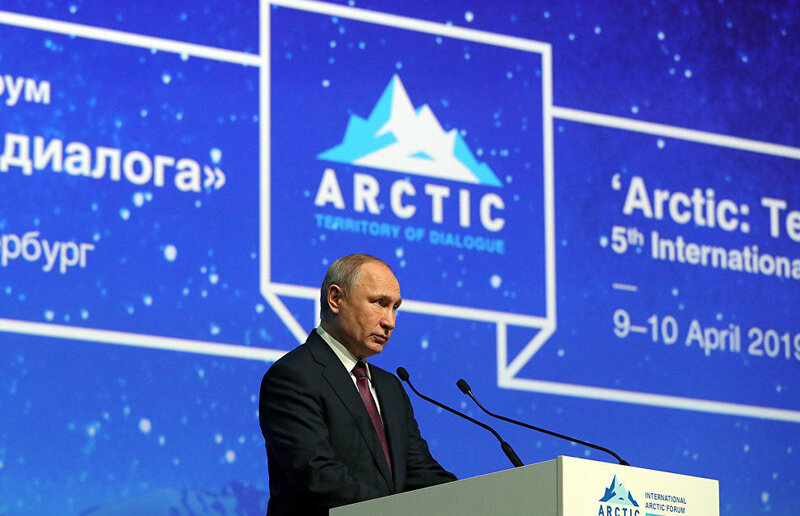 The Arctic accounts for over 10 percent of all investment in Russia, Russian President Vladimir Putin said in his speech at the plenary session of The Arctic: Territory of Dialogue 5th International Arctic Forum. "Today, the Arctic accounts for over 10 percent of all investment in the Russian Federation," Putin said. "I am convinced that the importance of the Arctic factor in the Russian economy will only grow further." Today, the Arctic accounts for over 10 percent of all investment in the Russian Federation. I am convinced that the importance of the Arctic factor in the Russian economy will only grow further. Today, the Arctic accounts for over 10 percent of all investment in the Russian Federation. I am convinced that the importance of the Arctic factor in the Russian economy will only grow further. According to the president, a new strategy for the development of the Russian Arctic up to 2035 will be drafted and adopted in 2019. "It is to combine measures stipulated in our national projects and state programs, the investment plans of infrastructure companies and programs for developing Arctic regions and cities," he noted. "All Arctic regions should be brought to the level of at least the national average in key socioeconomic indicators and living standards. I would like to emphasize that this task should not only be clearly defined in the new strategy of Arctic development but should also serve as a guide for the work of all federal departments and regional authorities of Russia." Putin said, adding that it is necessary to take into account the specific nature of the problems facing the indigenous minorities of the North.